Whether you’re building an app for a customer or for your own company, you’ll want to make payments as frictionless as possible for the end user. And since we’ve helped companies like Neste, Pizza Online, and Finavia build smooth payment flows into their mobile apps, we wanted to take a moment to share 3 use cases that you might find useful in your upcoming projects. Imagine that your customers could just rock up to your store, parking garage, or any other place of business, and their cards would automatically be charged for the service or product they were about to receive. In short, that’s what event-triggered payments are all about. Instead of having to worry about carrying their wallets, remembering their pin codes, or waiting in line, event-triggered payments allow your customers to streamline the point of sale experience and simply skip the painful process of finding and selecting a payment method and confirming the payment. Automatically charge parking garage visitors and toll road drivers based on their vehicles’ license plates and/or bluetooth-enabled devices. Allow checkout-less grocery shopping experiences in-store in Amazon Go stores. Create smoother public transportation journeys, by charging customers automatically based on the length of their trip. While we’d hope to see more invisible app payments in the future, it’s also understandable that the approach doesn’t quite suit all kinds of use cases just yet. And that’s why it’s a good thing that we have alternatives. Sometimes completely invisible, event-triggered payments are not the best or the most secure solution. And while you don’t want to burden your customers with any unnecessary steps, some type of a payment confirmation may actually reduce payment friction and increase conversions, as it adds a layer of security. A good compromise between completely invisible and traditional in-store payments lies in an approach that combines a physical element such as a store, gas station, or a rental vehicle with an in-app payment or payment confirmation. The Neste fueling app offers device-initiated payments, by allowing registered users to select a gas pump with a simple tap and charging their card in the background as soon as they’re finished fueling up. The Helsinki Airport app by Finavia allows registered users to pre-book and prepay for a parking spot. Pivo Face Payment at the OP Headquarters’ Antell café allows OP employees to confirm purchases by simply scanning their faces. Mixing in-store and app payments further, e.g. 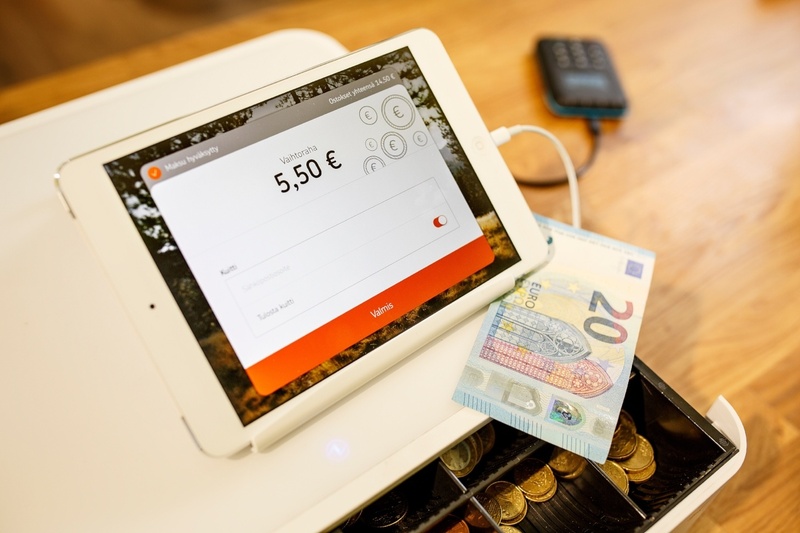 by letting customers insert their phone numbers on a tablet by the checkout, and then allowing the customer to complete the payment on their own smartphone, using a mobile wallet such as MobilePay or Pivo. Bringing a similar approach to a restaurant environment, by allowing customers to order and pay for their own food and/or beverages with an app. And now that we’re on the topic of in-app payments, let’s look at how traditional app purchases can be made even more frictionless. By choosing to support popular mobile wallets like Apple Pay, MobilePay, or Pivo in your app, you’re making it that much easier for your customers to buy. Instead of forcing app users through a painful registration process that involves filling in their contact information and card details, they can simply hook up their existing mobile wallet to your app and they’re ready to go. If you’re looking to build payments into an app anytime soon, check out our Sandbox for detailed documentation and language-specific libraries.